Most car enthusiasts have at least a bit of interest in watches. Watches, like cars, are incredibly impressive pieces of mechanical engineering. Probably even more impressive than cars, to be honest. But let’s be real, premium watches are overly expensive for most enthusiasts. 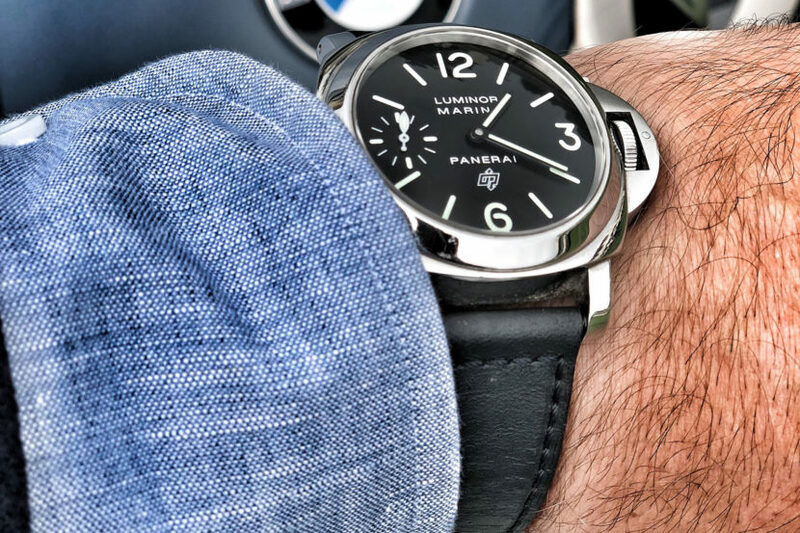 Most enthusiasts, even of the Bavarian sort, don’t have thousands and thousands of dollars to drop of brand-new premium watches. Which is why buying pre-owned is a great outlet for many. The only real issue with pre-owned watches is the fear that you might not be getting an authentic, high-quality piece. That’s where StockX comes in. To be honest, buying certified, authentic pre-owned watches online isn’t really a new idea. There are several pre-owned watch companies on the interwebs that offer premium, certified watches for affordable prices. However, StockX is a bit different, as it uses a stock market-style approach to its listings, showing truly transparent supply/demand pricing. So rather than go by traditional pricing, you browse by each watch’s lowest “Ask”. It works similar to eBay, in the sense that it basically pairs buyers and seller together. The difference, though, is that StockX actually handles each watch sold and makes sure that it’s authentic and that its quality matches what the seller claims. So it’s far less frightening to buy a watch from StockX than eBay. So what sorts of watches does StockX have right now that might interest BMW fans? Here are five, for all different kinds of BMW enthusiasts. BMW M drivers obviously like things with a bit of a sporty edge. You don’t by something from BMW’s Motorsport Division unless you want something a bit more exciting and/or harder edged than your average car. If that’s you, you’ll likely want something a bit sportier on your wrist as well. Such as this steel Rolex Daytona 116500. The Rolex Daytona is one of the most iconic watches in history, being worn by countless racing drivers and, most famously, actor/racer Paul Newman. This particular Daytona features a Cerachrom ceramic bezel, a glossy white face and black-trimmed sub-dials. It’s a stunning piece and fits the motorsport bill perfectly. You can see the Daytona here. The BMW 5 Series is one of the most popular cars the Bavarians sell. It’s sophisticated, sporty and luxurious, all in a handsome, if a bit sedate, exterior. For that sort of customer, we chose this IWC Portuguese 7 Days. The IWC Portuguese is one of the most handsome and elegant luxury watches on the planet. But it’s also simply designed and impressively well engineered, just like the 5 Series. Especially the ‘7 Day’, which has a seven day power reserve, giving it as much function as form. More info on the Portuguese. Convertibles are interesting, as they can be a bit controversial. Many enthusiats feel that convertibles are a bit soft, as they lack some of the performance of their hard-top siblings. However, many enthusiasts feel that convertibles offer the most pure and exciting experience, as they allow the driver to be more a part of the experience, part of the elements and a part of the sound. One thing I think we can all agree on is that people in convertibles might like being seen a bit more than coupe drivers. If that’s the case, this Audemars Piguet Royal Oak Offshore is perfect. Royal Oaks were some of the first sport watches ever, making them great for sporty cars like convertibles, and the Offshore models are big and flashy, making them perfect for people who like to stand out. This specific one, with its blue and brushed aluminum finish, looks great, too, and is more exciting than a typical silver and black watch. Click to learn more about this Audemars Piquet. The 7 Series is the ultimate expression of BMW’s luxury capabilities. It’s also a classic, as the 7er has been around forever and been one of the staples of German luxury for decades. But 7 Series’ are also a bit understated in their luxury, rather than flashy. So a 7 Series driver is going to want something timeless, classic and sophisticated, without being ostentatious. Making this A. Lange & Sohne 1815 perfect for a 7 Series driver. Langes are some of the most breathtakingly beautiful watches on the planet, designed with simplistic beauty and absurdly high build quality. This specific 1815 Lange wears a rose gold, 38mm case with a seconds sub-dial and blued steel hands. It’s gorgeous, yet simple and understated, exactly what a BMW 7 Series should be. More photos available here. There are still almost countless BMW enthusiasts that feel the classics are untouchable in their driving dynamics and feel. Typically, though, a lot of those classics are rare and expensive, such as cars like the BMW Z8 and/or 507. For something like that, something costing hundreds of thousands of dollars, if not millions in the case of the 507, the classic BMW driver needs something truly special. Something like this Patek Philippe Chronograph reference 5070R. Many watch enthusiasts find Patek Philippe to be the finest expression of watchmaking on the planet. And the Chronograph 5070R is a stunning pretty, effortlessly elegant, simplistically beautiful watch that perfectly matches the classic style of cars like the BMW 507 and Z8. See the prices on this Patek Philippe.